Fast forward a couple months to B.E.A.C.H. 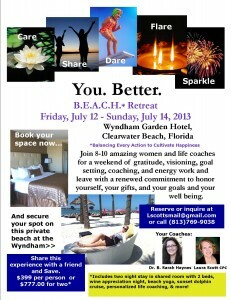 * Retreat (Balancing Every Action to Cultivate Happiness) an weekend retreat for women myself and my colleague Sarah Haynes are facilitating at a beach resort in Clearwater Beach Florida July 12-14, 2013. I have posted the flyer above. Are the people you are doing it with fun? 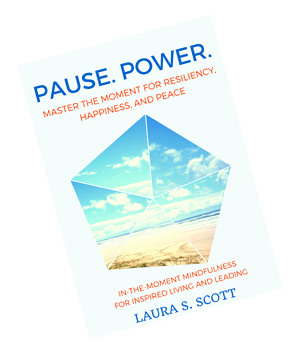 Are you going in with an intention of service? Care to join us? Only three spots left. 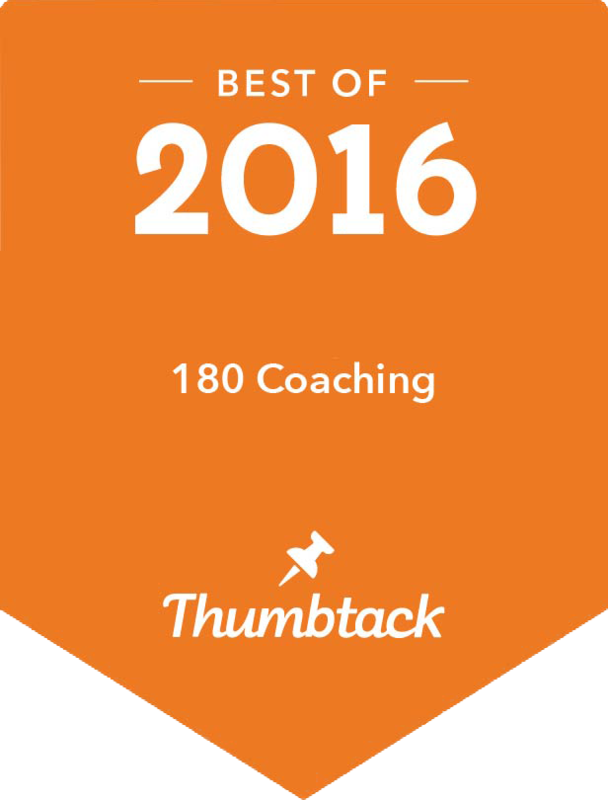 Call the number on the flyer above for more information or email info@180coaching.com.